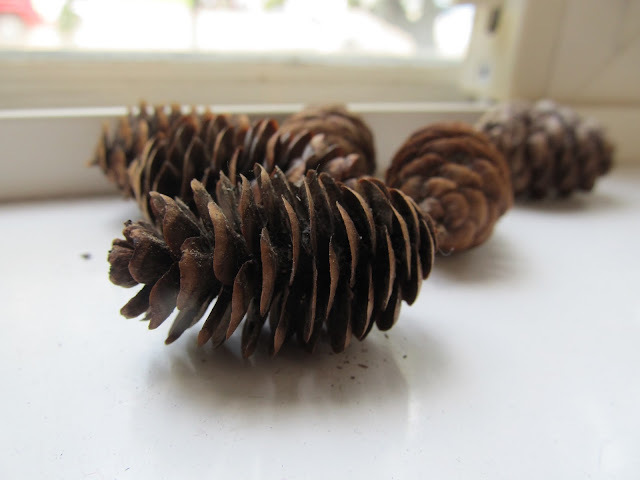 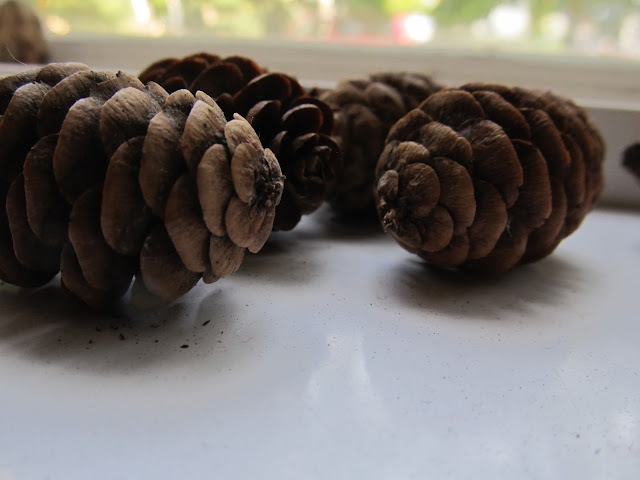 One of the things that Bug and I have collected over the past two weeks have been pinecones. 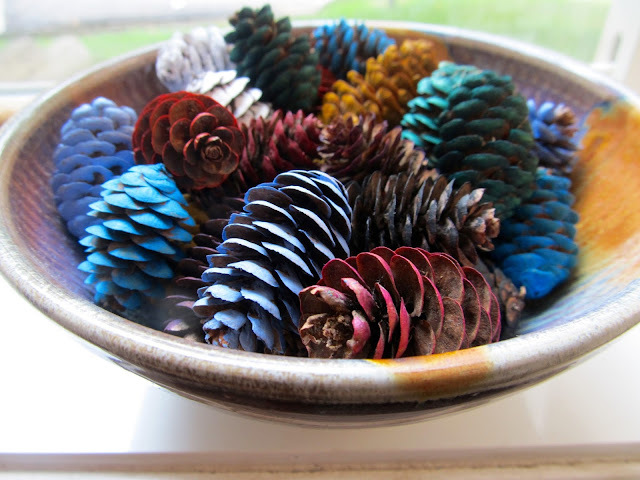 With so many different craft ideas that we could do with them, we decided to take a colourful approach that would allow these to be played with as well as displayed. 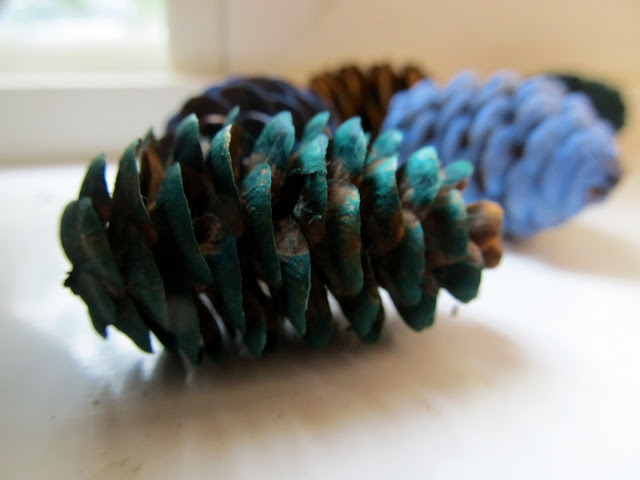 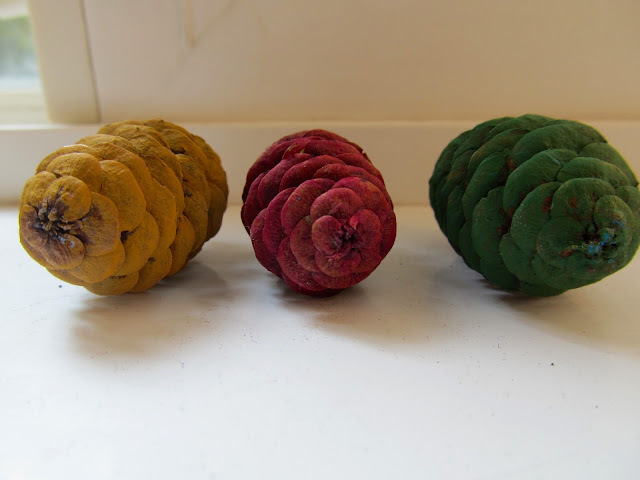 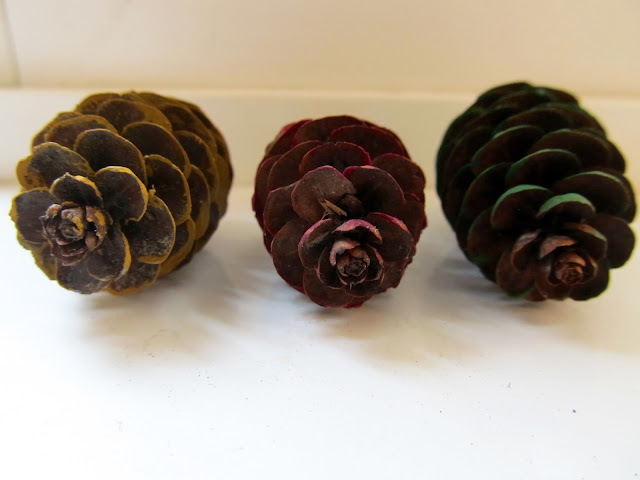 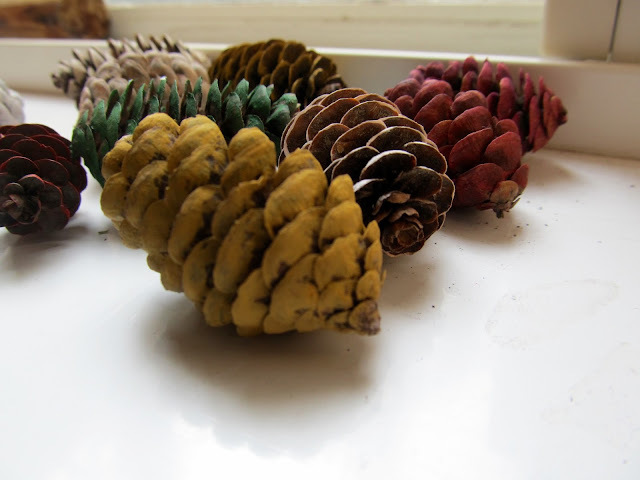 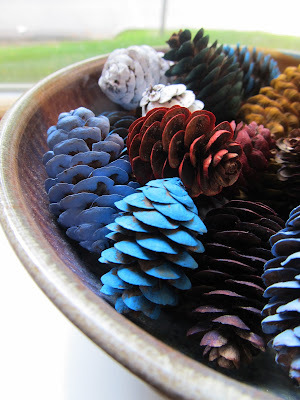 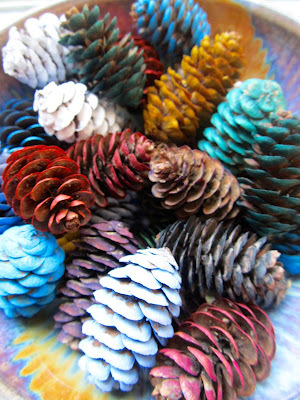 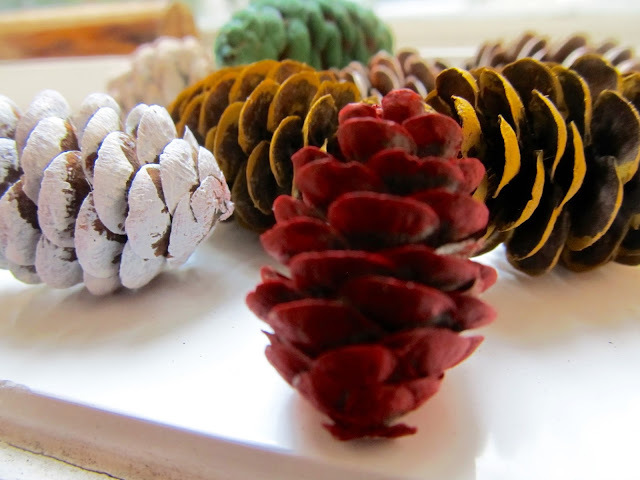 Painted Pinecones. 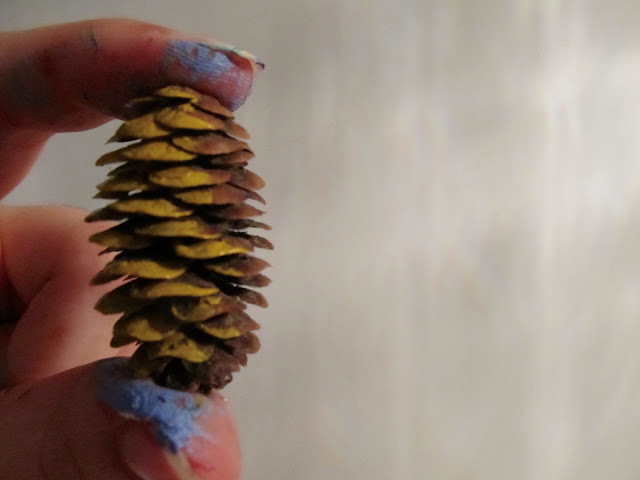 I used my acrylic paints that I got from my aunty for Christmas and Bug helped me pick out all of the colours we should use. 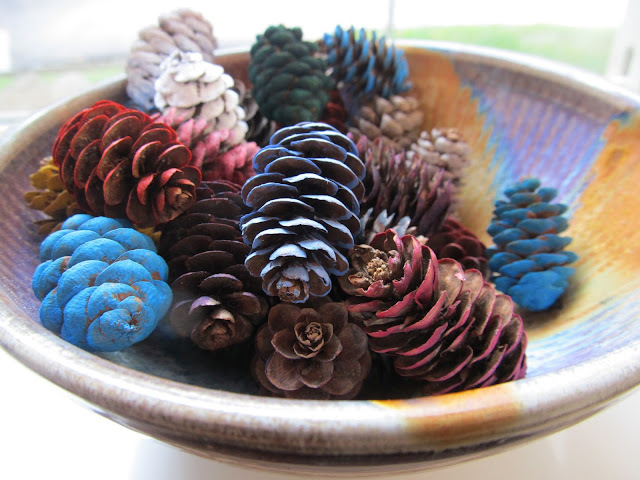 I found with this project that the messier I was, the prettier the pinecone was. 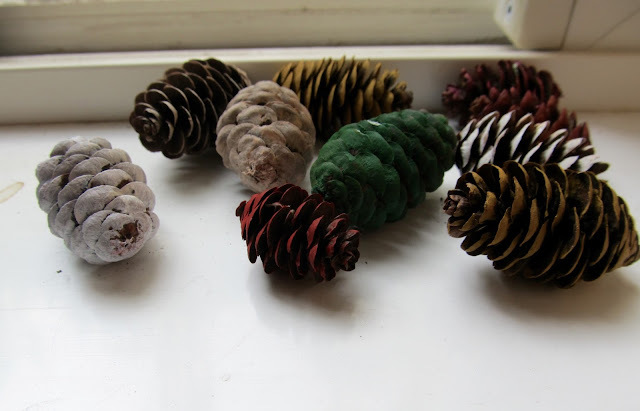 I love the rustic look that the pinecones already give off and I wanted to keep the paint looking that way. 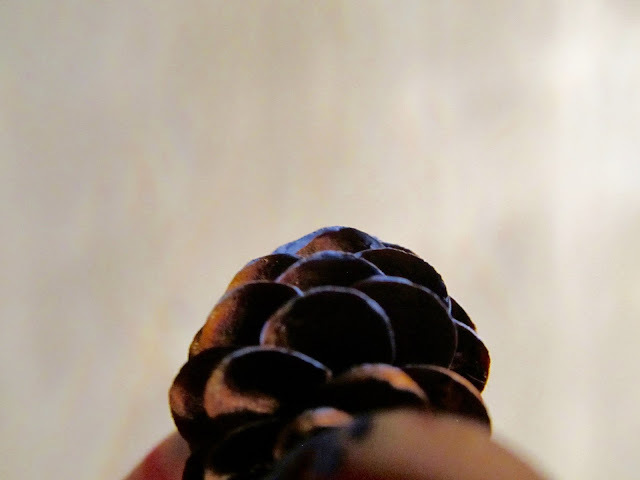 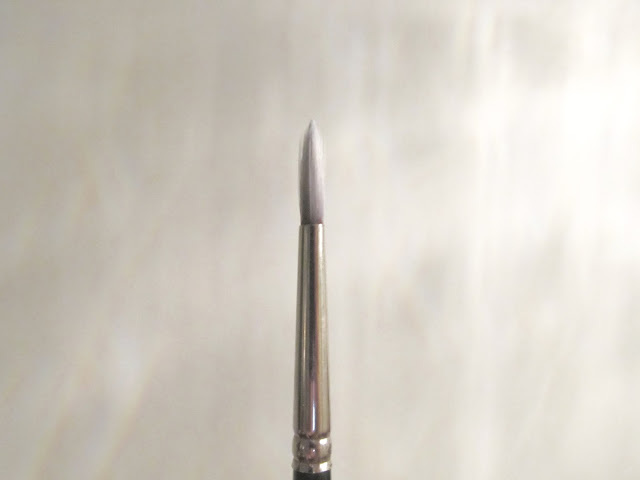 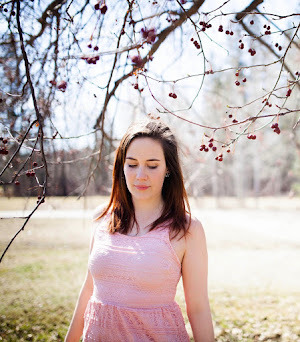 So smudge over here, chip over her, a broken bristle there - it simply added to the pinecone. 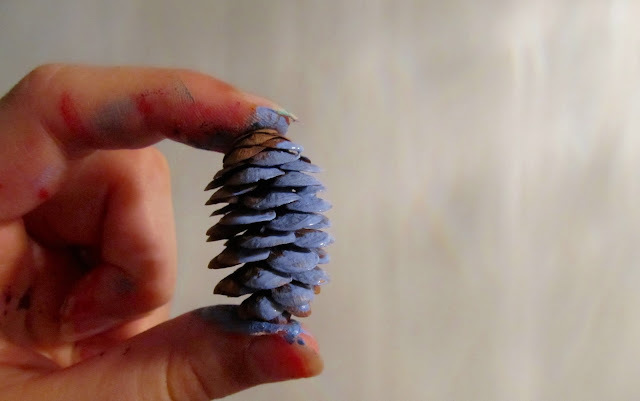 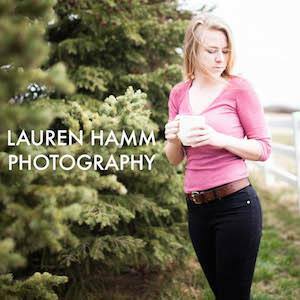 This is a great project for any age.